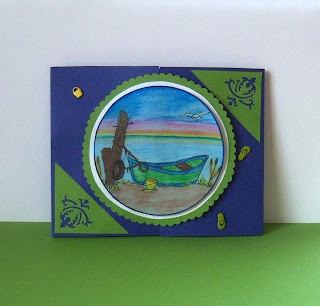 The challenge over at Magical Monday this week is to take the beached boat and make a gate fold card out of it. 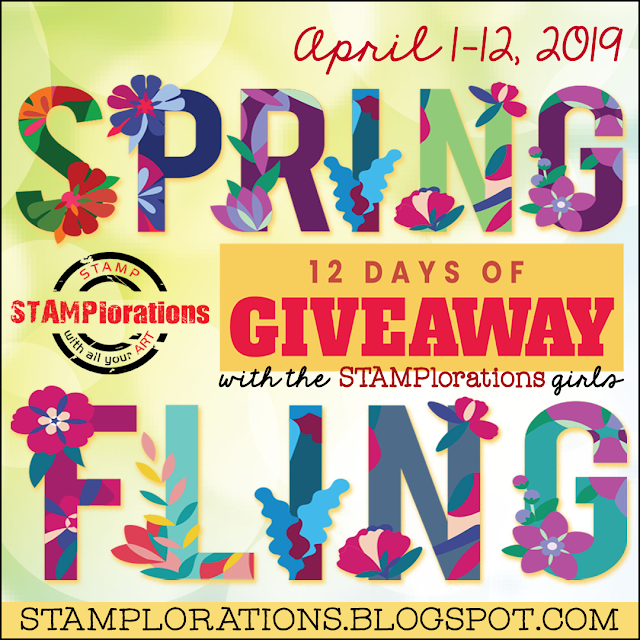 Skip on over there to get your free image and check out the pretty cards. Since I really, really like this image; I wanted it to be the focus of the card without a lot of extras around it. I printed it on light blue card stock and colored it with watercolor pencils. This is one of my first attempts at watercoloring. ...here's the finished product! I think I'm hooked!! This is just beautiful! I love that mossy green and vibrant blue together! your waterline and skyline are beautiful and the colors are nice and rich. I'm glad you snagged this image and used your watercolor pencils. Thanks for playing along with the challenge this week. You have a wonderful little masterpiece there. I hope you come back and play some more! I love that image and what you've done with it! Thanks for the heads-up! ooo Very pretty! 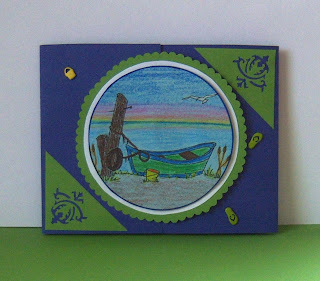 love the colors you chose for the rest of the card.... very cool that you showed us before & after using the water - love the effect!